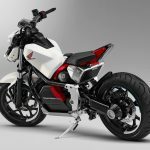 Honda will present its second self-balancing motorcycle concept at next month’s Tokyo Motor Show, this time applying the technology to a new electric motorcycle. 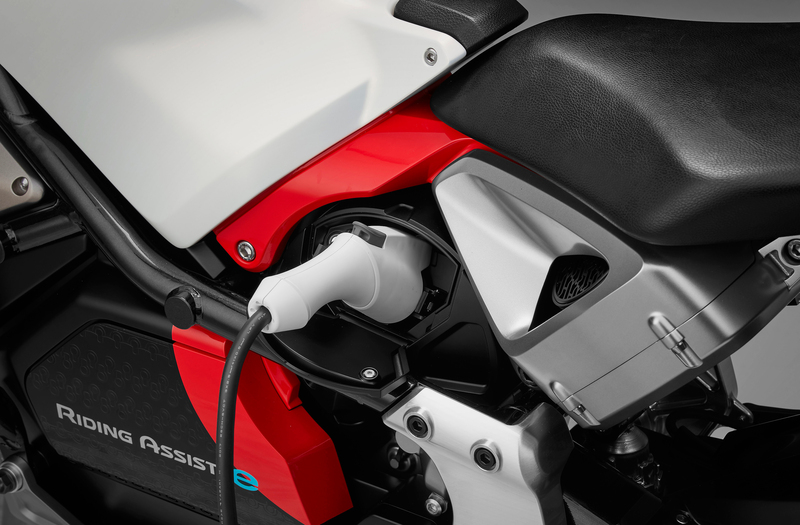 The Honda Riding Assist-e uses the same robotics technology that allowed the original Riding Assist concept to keep itself balanced at low speeds without rider input. 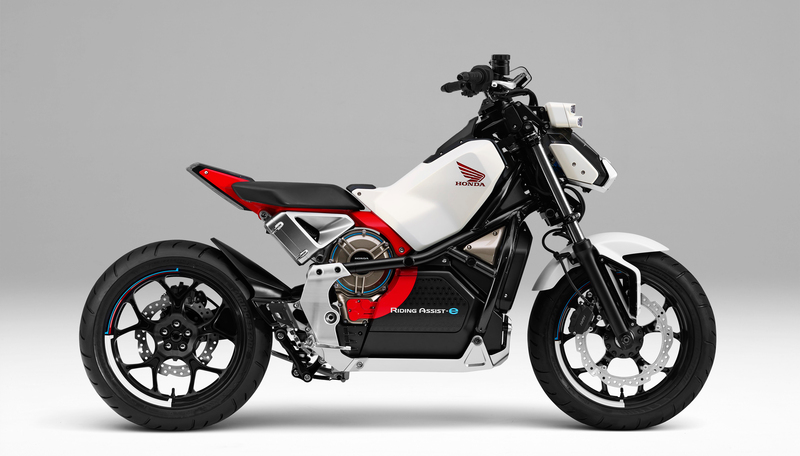 The original Riding Assist concept used a Honda NC700 as its base, with the self-balancing technology housed in the front end. 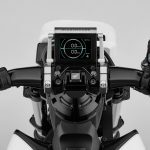 Instead of using gyroscopes, the technology uses robotics developed from Honda’s UNI-CUB personal mobility device to stay upright at low speeds or at a standstill, making micro adjustments to maintain balance. The NC700’s frame returns once again, but instead of the forward-tilted parallel-Twin engine, the chassis holds an electric motor, mounted high, just under the seat. 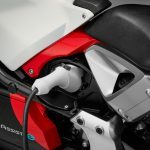 Power is delivered to the rear wheel via a drive shaft housed in the single-sided swingarm. 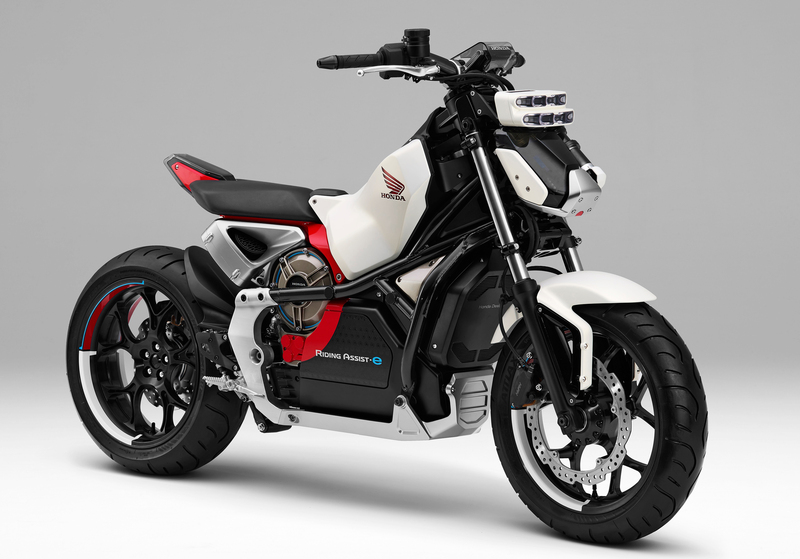 The battery is likely housed low in chassis to keep a low center of gravity. There are gaps in the side panels which suggest they may open up to access the battery. The charging port is located on the left side of the bike, beside the electric motor. 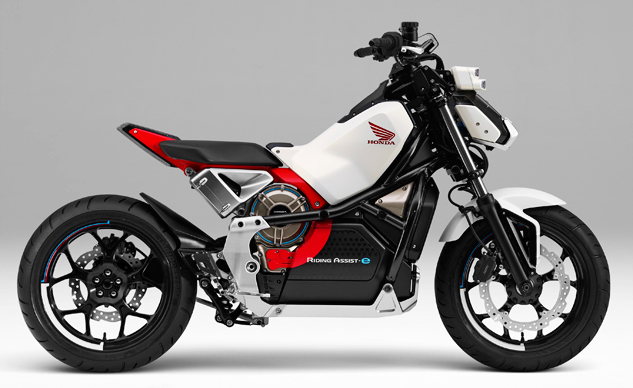 Behind the motor, Honda has mounted a rear-facing radiator. 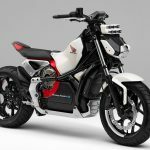 What’s particularly interesting is that the electric power train and self-balancing systems are completely separate, so we’ll see how Honda further develops both technologies going forward. 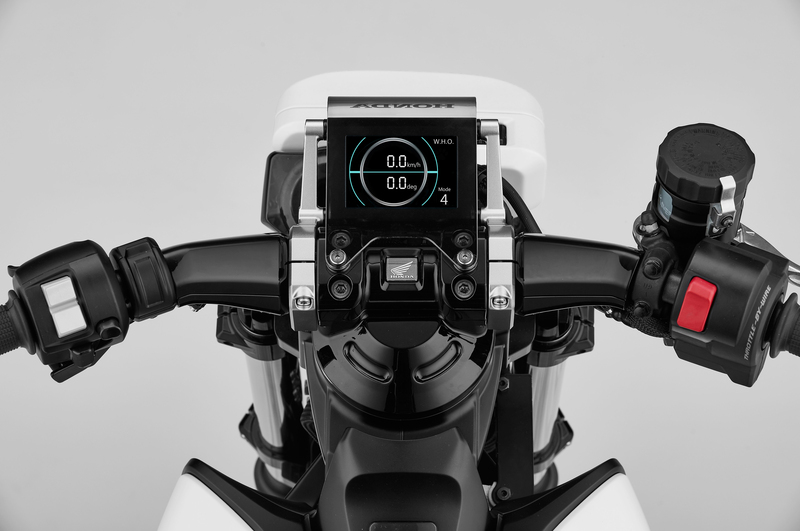 We’ll have to wait until the Tokyo Motor Show on Oct. 25 for more details about the Riding Assist-e. 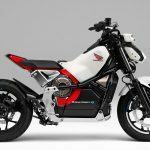 The Tokyo Show will also feature a new Super Cub C125 concept, a Monkey 125 concept, and a Super Cub 110 commemorating the 100 millionth Cub to be produced.